Leo Hohmann, writing at World Net Daily, has another in what is turning into a series on Obama’s plan to change America by changing the people. However, one of the revelations in this article entitled ‘Mayors join Obama’s ‘welcoming’ parade for immigrants’ is that the social engineering began long before Obama took office! According to Nashville citizen activist Joanne Bregman, it began in earnest during the Bush Administration! For the millions of immigrants and refugees who might feel unwelcome in Georgia, Texas, Alabama and any other state not on board with President Obama’s plans to “build welcoming communities” for “new Americans,” Mayor Kasim Reed has a message: Come to Atlanta. City spokeswoman Melissa Mullinax told WND that Reed began working with Welcoming America more than a year ago. Gotta get those Democrat voters registered! Changing Nashville, TN began in 2001 with a federal grant! Like the mayors in Chicago, Atlanta and L.A., Nashville Mayor Karl Dean has created a special high-level office, the New Americans Advisory Council, to advise him on how to integrate the growing population of foreign-born residents. Nashville’s foray into the immigrant welcoming business began in earnest when it agreed to join a pilot program funded by a federal grant to the U.S. Chamber of Commerce in 2001. Nashville joined Portland, Oregon, and Lowell, Massachusetts, as the three experimental testing grounds. That experiment, called Building the New American Community Initiative, contained a mission that became the model for transforming the demographics of cities of all sizes across the U.S.
“The whole point of this grant if you look in retrospect what they were trying to do, is expand the resettlements outside of the traditional gateway cities of L.A., New York, Houston, Boston, Miami and Chicago and plant new seeds throughout the country,” the Nashville activist said. There is much, much more, please read it all! For those of you conflicted about the humanitarian issues involved with refugees and immigrants, make no mistake, this is about money and power, straight up! Most refugees (who don’t have an Islamic supremacist agenda) and refugees and immigrants (who aren’t looking for a handout of taxpayer-funded goodies) are pawns for the Chamber of Commerce, big businesses and progressives hungry for power. Is it all about money for the Republican elitists who turn a blind eye? We haven’t written about the very brave American hero Pamela Geller and what happened in Garland, Texas, when she and other organizers of a ‘draw Muhammad’ contest flushed out a pair of jihadists living in our midst, because you would have to be living under a rock to have missed the news. 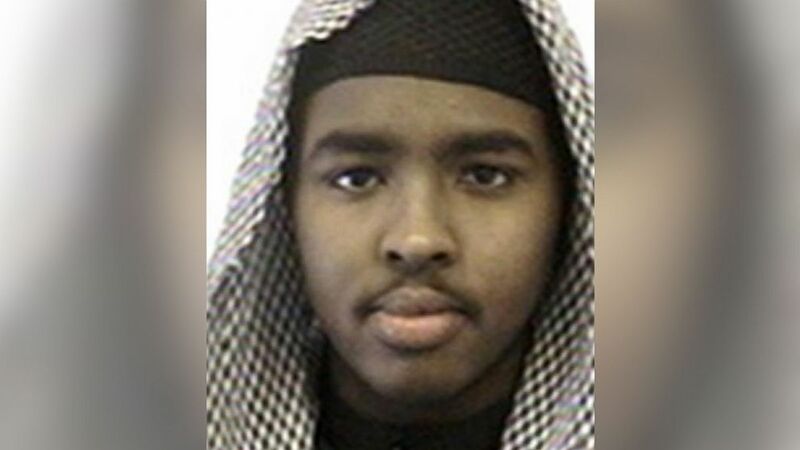 However, it now appears that another of the Somali “youths” you raised to adulthood with your tax dollars is at the center of the attack. Remember readers that Somalis do not “find their way” to America. The vast majority of Somalis in the US came (and continue to come!) through the UN/US State Department Refugee Admissions Program. You feed them, you house them, you give them medical care and you educate them! Minnesota, where Muhammed Hassan is from, is Somali-central having received 10,000 Somali refugees in ten years directly from Africa and elsewhere around the world thanks to ‘Christian’ resettlement contractors. (We are not counting the ‘secondary migrants’ who moved to Minnesota after being resettled somewhere else in the US and then move to join their kind of people in MN). In the first six months of FY2015 we have admitted 4,425 Somalis to the US. Why are we bringing in any? A mysterious ISIS recruiter known online as “Miski” was in close and repeated social media contact with Elton Simpson for months before the Sunday attack in Garland, Texas, an ABC News investigation has found. Since leaving the country in 2009, Miski has popped up repeatedly online as a vocal proponent of jihad. Each time Twitter shuts down his account, he simply returns in under a slightly different username and quickly reconnects with his supporters and potential recruits. For new readers, we first began following the ‘missing Somali youth’ news way back in 2008, here. We must demand a moratorium on the resettlement of Muslims from anywhere in the world—from Iraq, Somalia, Afghanistan, Burma, Uzbekistan and Syria to start with—if we want to have any hope of surviving! Let the rich Arab countries take them! This is one more in our ‘Invasion of Europe’ series. Americans pay attention, by some estimates we are only a decade behind Europe. 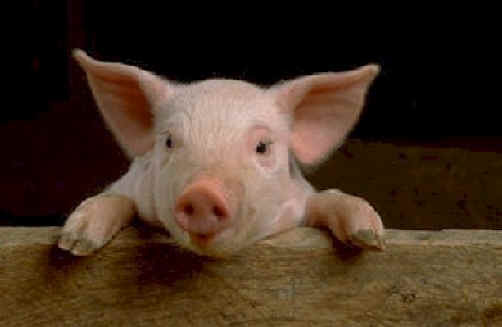 “You know that Muslims are not friends with pigs,” he said. At this point in the story there is much sniffing and snorting from Swedish elitists about how silly this idea is. You can read it yourself. Then this! Sweden will not survive an open door policy toward Muslims from Syria. Here we learn how high the number of asylum seekers has risen. Will there come a day when Swedes seek asylum in America—but surely not in Minnesota! This reminds me, a number of years ago Maryland had a Muslim state legislator who actually introduced a bill in the legislature that would make it harder for Maryland pig farmers to make a living. The bill, disguised as an animal rights bill, failed and he is no longer a state delegate. Go here for our complete ‘Invasion of Europe’ series, and here for a very long list of posts on Sweden. If someone wants to write a book about the death of Sweden, they can start their research right here at RRW since we have been chronicling the colonization there for years.